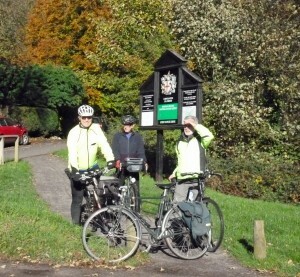 Burnham Beeches Ride for Explorers – Sunday 10th Nov.
Meet Twickenham Station before 10.05 to catch the 10.16 to Staines. 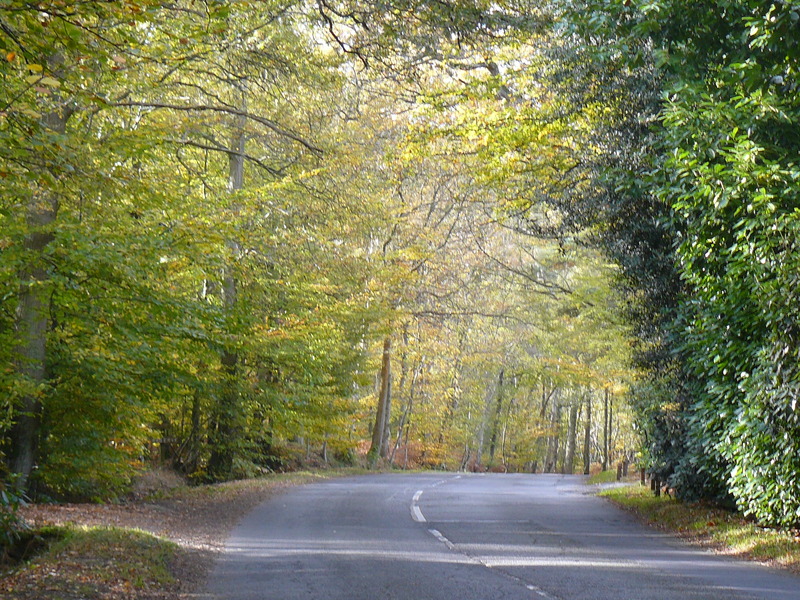 (arr 10.30) We cycle through Staines Moor then via Colnbrook and passing Pinewood Studios to quiet Fulmer and finally the woodlands of Burnham Beeches in their autumnal splendour. 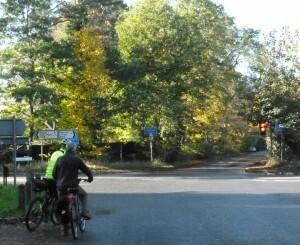 After lunch in a woodland cafe we head down to the Jubilee River path which takes us to Datchet and so back to Staines. About 30 miles mostly on-road. Having had NO indications that anyone was intending coming my partner and I set off and picked up one participant at Twickenham and another at Staines. 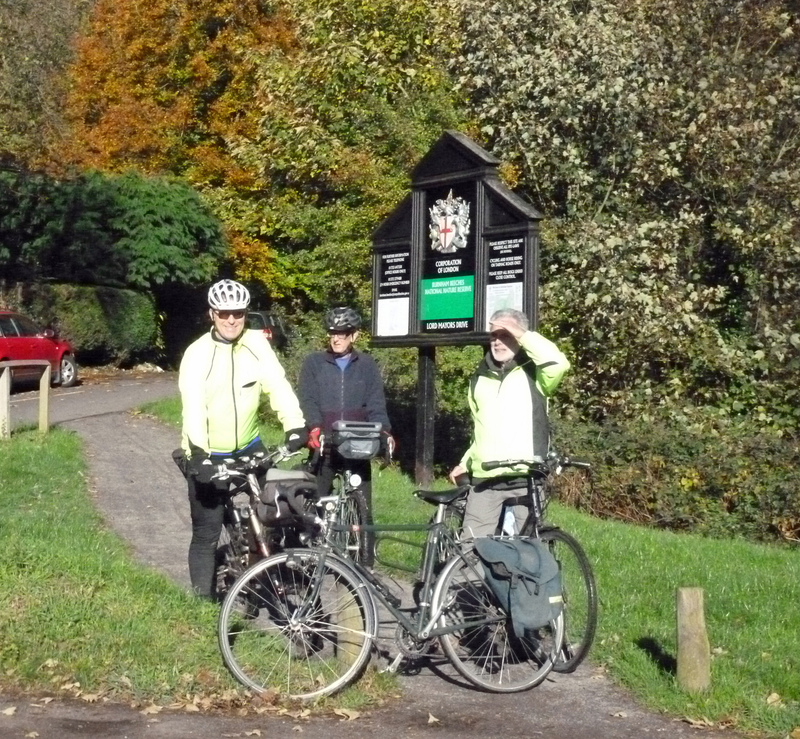 The four of us enjoyed sunshine all day with light winds with just a few puddles. 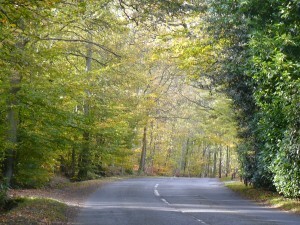 The trees were just turning colour so views were superb. The only problem was just missing a train on returning to Staines.